This is a supervised open gym. 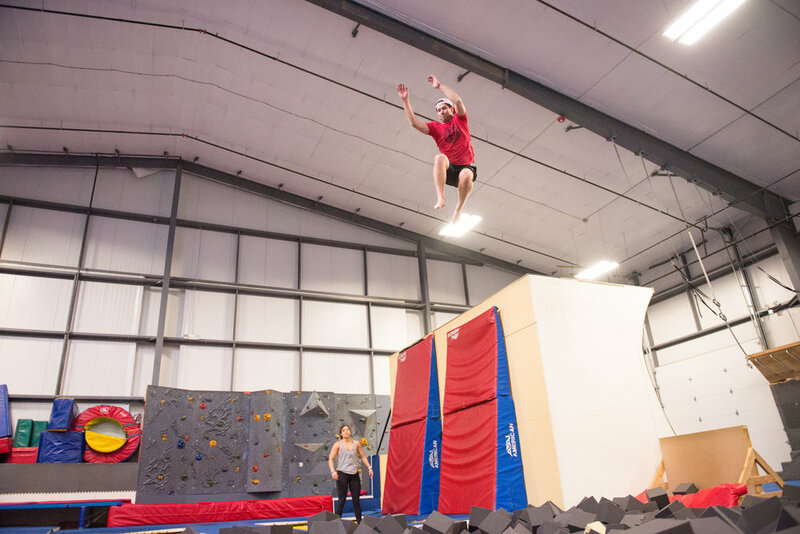 Participants have free reign of the gym, they can set up parkour obstacles, practice freestyle ski and snowboard jumps on our trampolines and into the foam pit, or just tumble, do gymnastics and socialize. At $5/hr this is the best bang for your buck. Trained coaches are always on staff to supervise all activities, answer questions or even help out.